A chemical peel, which is also known as derma peeling or chemo-exfoliation, is perhaps one of the most minimally invasive method of improving the nature or appearance of facial skin. The method can be used to smoothen the texture of the skin, by causing controlled destruction of the top most layer of the skin resulting in a fresher and healthier looking skin.It is important to note that the chemicals peels are not exclusively for the face, and can be used for other parts of the body too, especially the hands, neck and back. A chemical peel is an ideal solution to treat signs of skin damage due to ageing, over exposure to the sun, excessive usage of cosmetic products or even acne. Chemical peel works on three basic principals’ i.e. Exfoliation, Removal of skin imperfections, Regeneration In this process, chemical peels are applied directly to the skin which destroys the outer layer of the skin through chemical activities. However, a controlled destruction of epidermis is there so as to avoid excessive damage to skin. Destruction of epidermis leads to the exfoliation and removal of superficial lesions on the skin followed by the regeneration of new epidermal & dermal tissues. Are you a Right Candidate for Chemical Peel? Suffering from skin disorders like psoriasis, rosacea, dermatitis etc. Chemical peel is largely a cosmetic procedure and it is indicated depending upon the patient’s requirement to correct skin textural problems. Treatments vary with the severity of the condition and the wishes of the patient. We at AK Clinics always help the patient with information that what is possible and what is desirable for the best results after the treatment. Alpha hydroxy acids (AHAs) are naturally occurring carboxylic acids and can be found in foods such as tomato juice and sour milk. These are the mildest of peels and can be used to handle dryness, fine wrinkles, acne and even pigmentation. As a matter of fact, AHA can even be combined with your regular facial wash or cream in a milder concentration and used on a daily basis. Beta hydroxyl acid is now being preferred over AHA, because they are able to penetrate the pores in a more effective manner. Research has shown that BHA can control the excretion of sebum as well as acne. In addition, it will also remove dead skin cells in a more effective manner. Salicylic acid peels are a type of beta hydroxy (BHA) peel. These are best for treating comedonal acne. They also have anti-inflammatory effects that can decrease the erythema (redness) associated with acne. This is the type of chemical peel that your local salon might not offer, because this needs more professional expertise. Yellow Peel is a recent addition to a wide range of anti-pigmentation solutions. 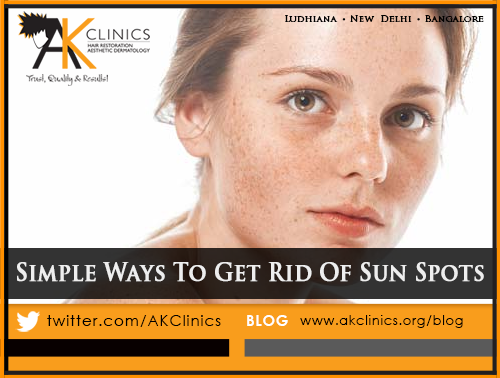 It is an efficacious reversal method against hyper-pigmentation caused by sun exposure, photo-ageing or scars. It helps to increase the microcirculation and oxygen supply to the skin which results in even skin tone. The origins of this peel go back to the 1920s and it was in the 1960s that it emerged as a popular skin treatment. The exfoliation will be more intense, and this will lead to more effective regeneration of the dermis. Formerly known as the Coombe’s formula, this type of chemical peel was pioneered by Dr Max Jessner, who was a German-American dermatologist and it was on his name that the method was renamed. He combined salicylic acid, lactic acid and resorcinol in an ethanol base, because this was meant to break the intracellular bridges that occurred naturally between keratinocytes. The chemical solution does not enter the pores as deeply as certain other peels. TCA used as an intermediate to deep peeling agent in concentration which range from 20-50%. Depth of penetration increases with 50%. TCA penetrates into the reticular dermis. TCA is preferred for darker skinned patients. It helps to smoothen the surface wrinkles and removes superficial blemishes. TCA also help to correct the skin pigmentation. Chemical peel is a sensitive process which needs precision while doing procedure. There are few factors which determine the cost of the chemical peel treatment. The type of peel used for the treatment determines the cost of treatment. The price of light chemical peel is less as compared to the deep chemical peel. There are medium chemical peels also which are of average cost. The surface area of the skin for treatment also affects the cost of treatment. Cost of face treatment will be different from the cost for back or other body parts. If treatment demands for only minor skin imperfections, basic chemical peel treatment will be sufficient which costs less but if severe skin imperfections are to be treated then deep peels will be required which will charge more. Number of sessions also determines the cost of treatment. If less number of treatments will be required, then the overall cost will be less but if numbers of sessions are more, cost will rise. After your chemical peel treatment, if there will be need of some after care treatments for effective results, then these can add up to the cost of treatment. If you are getting your treatment from a well reputed clinic by trained and skilled cosmetologist, your treatment cost may rise. Location or cost of living also contributes to the cost of treatment. If you are living in a metro city or city having high cost of living, this will raise the treatment cost. There are very common side effects after the chemical peel treatment. But these side effects can be managed or treated easily with precautions. Just consult with your doctor if you face any of the side effects. Due to the chemical peel, your skin may become dry. But with the help of regular moisturizing, you can get rid of dry skin. Drink plenty of water and try to keep your body hydrated. Chemical peel is about peeling off your dead skin. So if you see flakes on your skin or face, don’t get scared. It is a normal process and your new layer of skin will be visible within few days of flaking. You may see red patches on the skin after the chemical peel procedure. As your outer layer of skin has undergone the chemical procedure, you might suffer from redness but it will not last long. If you are going for chemical peel treatment by a specialized dermatologist, you may not have to face this. This is very rare side effect of chemical peel. What you should keep in mind before going for a Chemical Peel Treatment? What you can Experience during the Chemical Peel Procedure? What are the benefits that you can expect after the chemical peel treatment? When a person approaches a doctor with the intention of getting a chemical peel, there will be a fair few steps involved. Your doctor might also ask you to undergo a few medical tests and checks, to ensure that you are fit to undergo a chemical peel. You will also be made to understand the possible risks and side effects, so that you are able to make a fully informed decision. This would also be a good time to have all your doubts and queries clarified and you should not feel embarrassed or ashamed to ask anything. Before a chemical peel is actually started, your face will be cleaned thoroughly. If you are opting for a deep chemical peel, then you will be given an anaesthetic or mild sedation, because there could be some pain involved. The pre-prepared chemical solution will then be brushed onto your skin and allowed to do its work. Timing is crucial, which is why you should get the treatment only from a reputed clinic or salon. There could be some tingling, burning or itching sensation and all these are considered normal. Depending on the type of chemical peel you have opted for, your doctor will either, simply wash off the peel, use a saline compress or slather your skin with ointment. If you have undergone a deep chemical peel, chances are that your skin will be dressed and the ointment will have to be left untouched for a day. Once the procedure has been completed, you are bound to feel a little itching, irritation or redness, but all of these are normal and will disappear in a few days. You will be given medication to apply on your skin, which will help reduce the redness or irritation and also help with the possible pain. There is a chance of infection or hyper-pigmentation and if you notice either, it would be best that you meet a doctor immediately. You will be asked to avoid makeup for a few days, because your skin will require time to heal. You will also be asked to apply a gentle moisturizer as well as sunscreen. Most people have felt a sense of burning, itching, irritation, swelling or redness, but all of these are normal and tend to disappear in a few days. Will A Chemical Peel Help My Skin? That is the whole idea – when the peel is done by a professional and with the right chemicals, it should peel away the damaged cells, revealing the healthier and smoother skin. What Is The Recovery Time For A Chemical Peel? The procedure is generally done on an outpatient basis, which means that you should be able to return home the same day. However, your skin will now be extra sensitive for a few days, which means that you will have to take extra care, such as applying gentle moisturiser and sunscreen. Your skin should be ready and recovered in about 10 days’ time. This is something that is dependent on your skin – how unkempt it is or how tired it is will decide how many sessions you will need. This is a decision that your doctor will take for you. Chemical peels help to resurface the skin and thus removing superficial layers of the skin. As a result, chemical peels promote the growth of a new healthy top skin layer and improve skin problems like hyper-pigmentation, fine lines and wrinkles, uneven texture and skin impurities. The state of your skin after a peel depends on the type of chemical used and your skin type. Superficial peels have limited effects. Medium peels may cause some redness and the deeper peels may require 10-14 days to recover. Is A Chemical Peel Safe? Yes, it is. When performed correctly by a certified, experienced Medical Esthetician, such as our dermatologist at AK Clinics, a chemical peel is both safe and effective. Can I Go Out Into The Sun After Having A Chemical Peel? You may go outside, but sunscreen must be worn for at least a few days after the peel as your skin will likely be a little more sensitive to sun exposure.